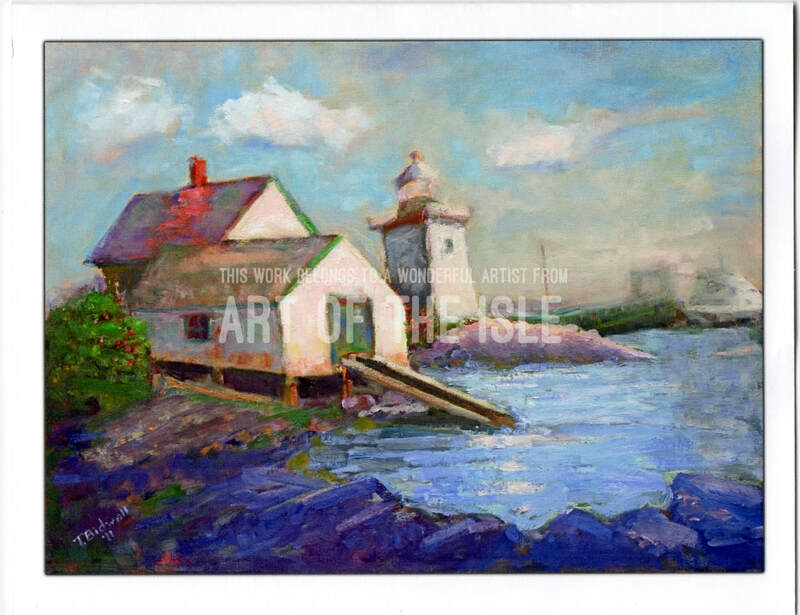 Art of the Isle has over 30 co-oping artists in our physical Islesboro store. Meet a few of our artists who sell online, inquire about custom work, and shop by individual artist below. Don't see who you are looking for? 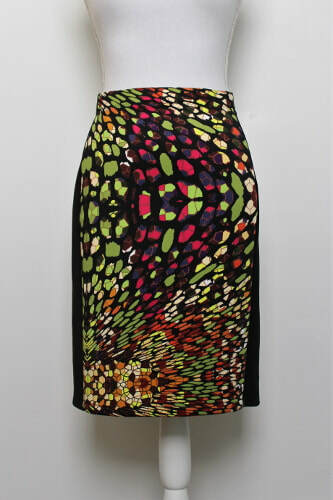 We also have several artists who choose to consign only in our physical store on Islesboro. Come in to the store to learn more about them and see their work. Ted Bidwell's journey into the art world began in NYC in the 60s, where he drew on the distinct architecture and stunning sunsets in his drawing. He also found inspiration on the island through the magical effects of light on the otherwise dreary and drying mussel and clam shells on the beach by his summer house. ​After a long career in the financial industry which left little time for the art interest, retirement opened a new door to what has become a near full time vocation. His schooling has been in the form of regular lessons at the Rockport Art Association, with teaching artist Ron Straka as well as workshops and other learning opportunities. On most days he can be found stalking the harbor in his home of Gloucester looking for subjects and waiting for interesting light effects to emerge. 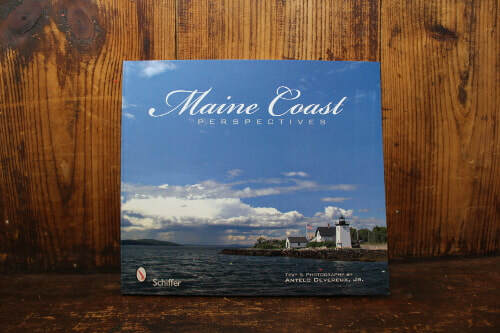 Or you might find him in Maine, squinting at the tree studded rocky coast and admiring the scenery of the islands of Penobscot Bay. Visit http://tedbidwell.com/ for more information. Crow Cove Designs, founded by Catherine Demchur-Merry, strives to create quality, affordable products for people and their homes. 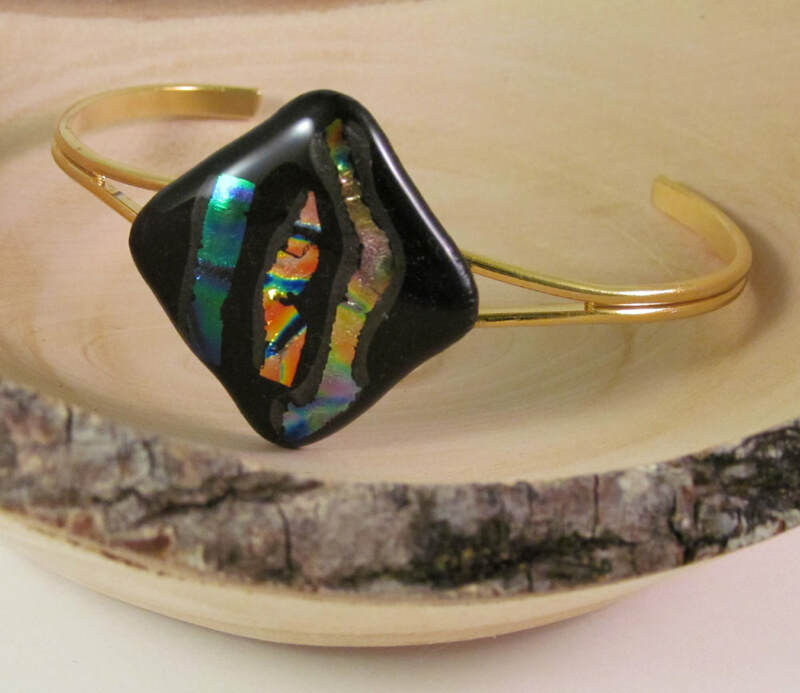 Inspired by the sparkling ocean and rocky shores she designs fused dichroic glass pieces. 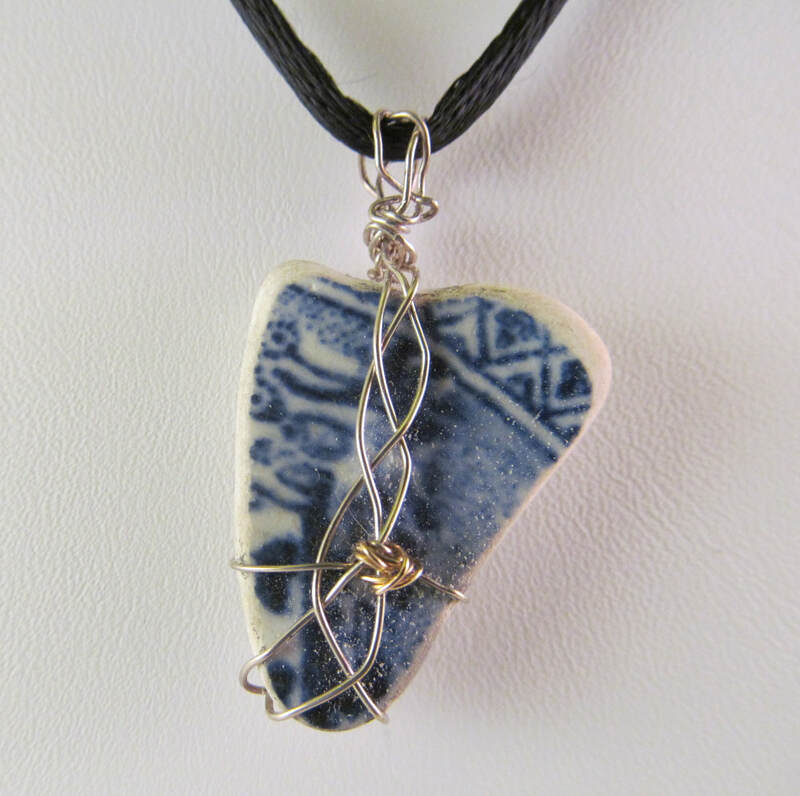 She also gathers sea glass and incorporates pieces into jewelry designs as well. 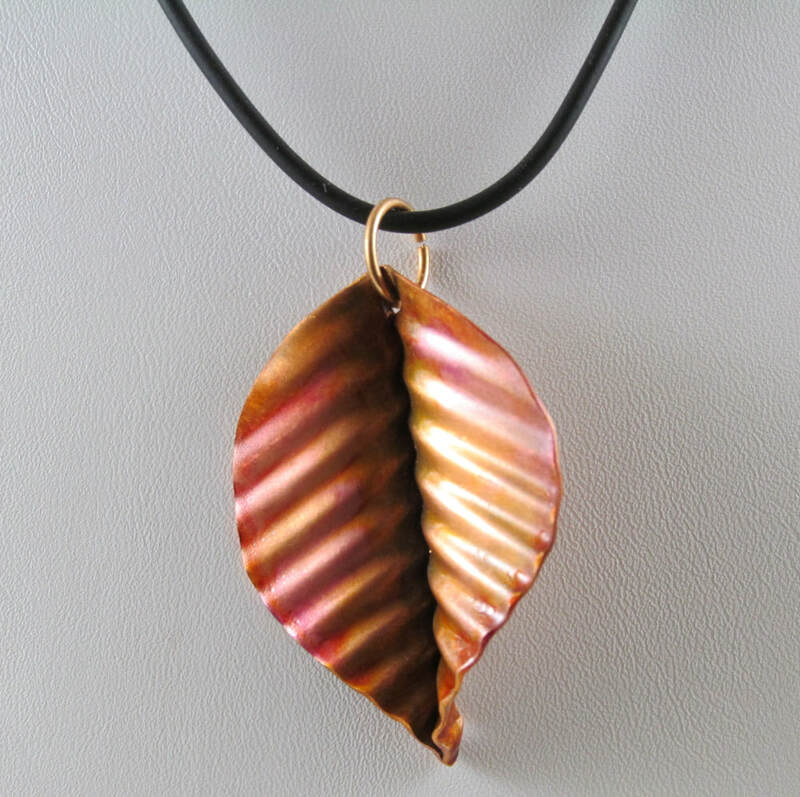 Nature inspires many of the colors and shapes of the pieces and the fusing process transforms each piece into a one-of-a-kind creation that you will treasure for years. Playing with different media she also makes soap, wreaths, besswax candles, chart note cards, framed charts of Islesboro, tide clocks, knit hats, and poured resin collages using sea glass and shells. Catherine lives on Islesboro year-round and enjoys kayaking and gardening. ​Antelo Devereux Jr. (Dev) has been making photographs since he was ten years old and has been a regular visitor to Maine for his whole life. He frequently can be found, with a camera in hand, searching for his next photo, whether it be along the shore, in a field, or on a city street. His work has been exhibited in Maine, Vermont, Pennsylvania, and Delaware. (Bio from his book). ​Dev donates proceeds from his postcards and book to the ICC and we are very grateful! David Evelyn's work ranged from painting, printmaking, collage and montage to found-object art, which included items made from the likes of ocean driftwood and discarded toys. David was an educator and passionate artist who received many awards for both throughout his life. David passed away in 2013. 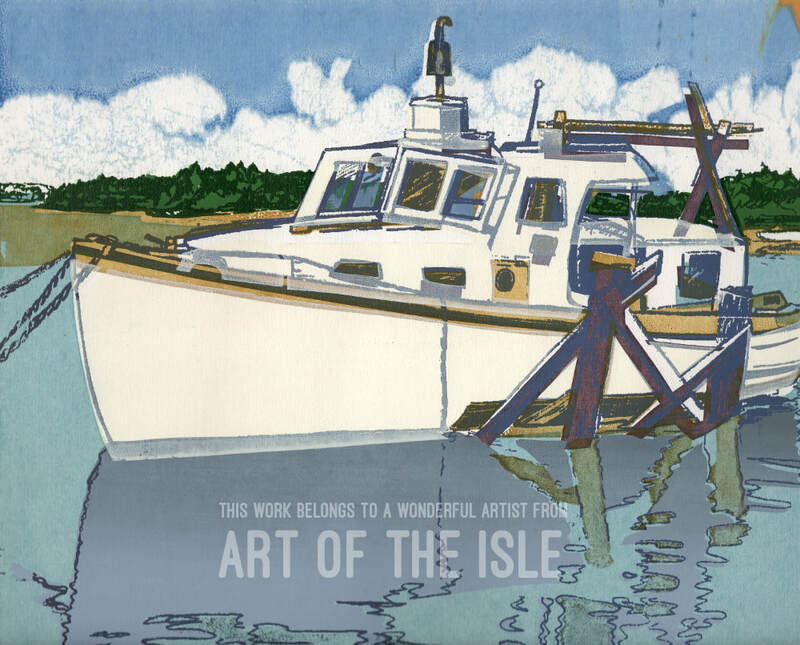 His legacy of giving and art lives on in many ways, including the many donated prints and art contributed to the ICC Art of the Isle. Cheryl Gaudiana is an Islesboro artist. She grew up in CT, studied environmental science, and moved to Maine in 1978. Her work is unique, unexpected, and covers a wide range of media. She makes decoupage Pemaquid oyster shells that feature a variety of island images. The images are hand-drawn and cut and she incorporates other elements such as Swarovski crystals. KM Heckel has a BS from the New York State University at Buffalo where she majored in Art Education with a concentration in color and painting. Katie taught Art and Humanities in secondary school for sixteen years and worked in museum management for ten years. After a long time away from the arts, she returned to painting In 2008. Art of the Isle carries several prints of historic photos that have been preserved and archived by the Penobscot Marine Museum. 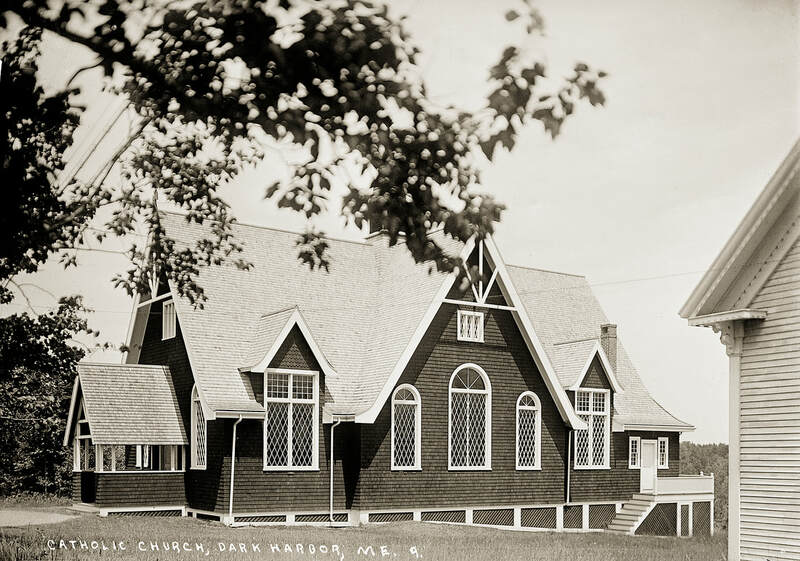 The mission of the Penobscot Marine Museum is to preserve, interpret, and celebrate the maritime culture of the Penobscot Bay region and beyond through collections, education, and community engagement. They are based in Searsport, ME. 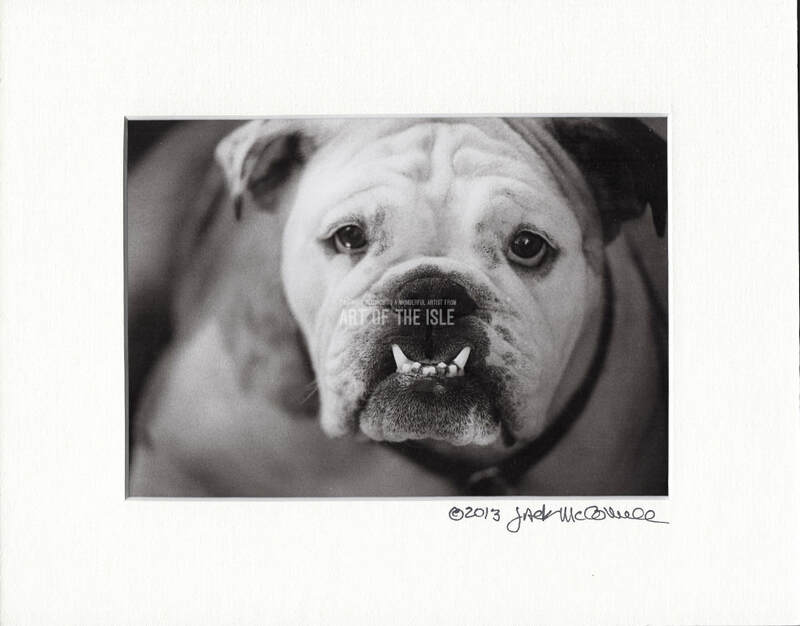 Jack McConnell is an annual report/advertising photographer, who travels the USA and Europe for Fortune 500 clients. His stock photo library of 250,000 images is located in Wethersfield, and marketed to clients around the world via StoneWallJack.com, JackMcConnellPhotography.com, and ConnecticutStockPhotography.com (from jackmcconnellphotography.com). Jack has spent time on Islesboro during the summer. He donates all of his proceeds directly to the ICC, and we are very, VERY grateful! The birch trees and the glass from beaches of Islesboro are sources of inspiration and creativity to me. Birch bark is a media which has endless beauty and uses. I carve, weave, shape and stitch birch bark into greeting cards, ornaments and baskets. All of the birch bark and logs are harvested from fallen trees to preserve the growth of this dwindling species. The shards of glass which are washed up on our beaches from the waters of Penobscot Bay are unique in color and shape. I make them into windows and mobiles. beautiful glass beads and metal components for my jewelry. Some pieces are made from Precious Metal Clay, some from copper that has been fold-formed and others from wire that has been knit or wrapped. I enjoy playing with color and design and am often inspired by Mother Nature, especially when traveling afar with my husband on our converted shrimp boat. The sturdy heart pods I found on the beaches in the Bahamas make beautiful pendants, combined with other collected treasures. My work is inspired by the many beautiful hummingbirds that buzz around the feeders at my house. ​These whimsical birds build diminutive but sturdy nests with plant fragments and dried moss. They are then lined with soft down and tufts of fur, and bound smoothly and tightly with the silk of spider webs. ​Like the hummingbirds, I prefer to work with natural materials such as wool, alpaca, driftwood and seashells. Variations in the color and texture of these enable me to create one-of-a-kind works of art, many of which are also warm and softly wearable. Lauren is a resident of Islesboro who creates unique art in a variety of mediums, from sewing to painting and everything in between. Her art is constantly changing, so check back for her new ideas often! Mainely for You! was founded in 2003 when I began my first enterprise, Sea Glass Jewelry, created from Sea Glass found on the beaches of Maine. Each Necklace, Pendant and pair of Earrings presents the beauty of glass naturally tossed by the sea and then transformed with delicately braided Silver and Gold wire into unique jewelry, Mainely for You! The True Story of Rocky the Seal joined MFY in 2006 when I wrote the endearing children’s book after a stranded seal was rescued on the island by the Marine Animal Lifeline. 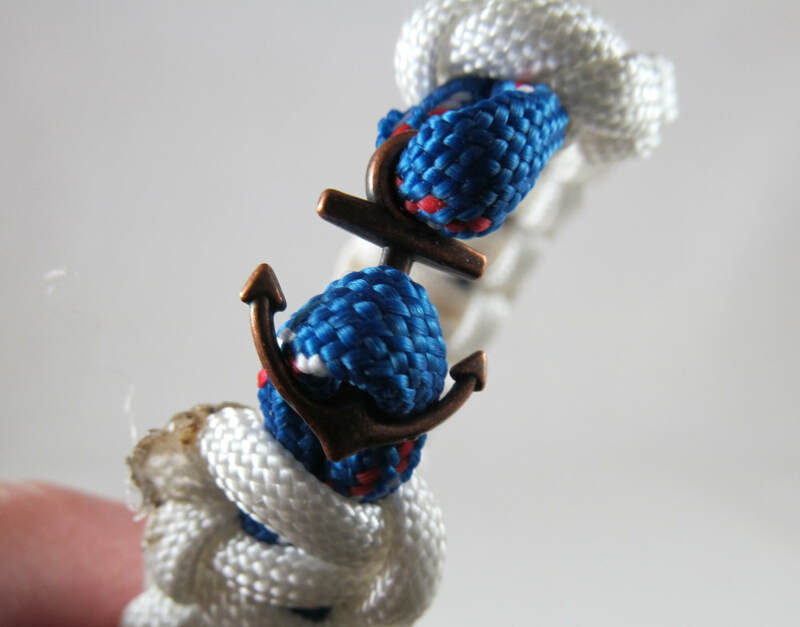 A portion of sale proceeds is donated to Marine Rescue. Islesboro Images in Photography and Fiber Art complete the MFY Giftline, and can be found along with Rocky and my Jewelry in various art shows on island, or by contacting me using the custom order inquiries button. Kay is a Vermonter who spends her summers in Maine. 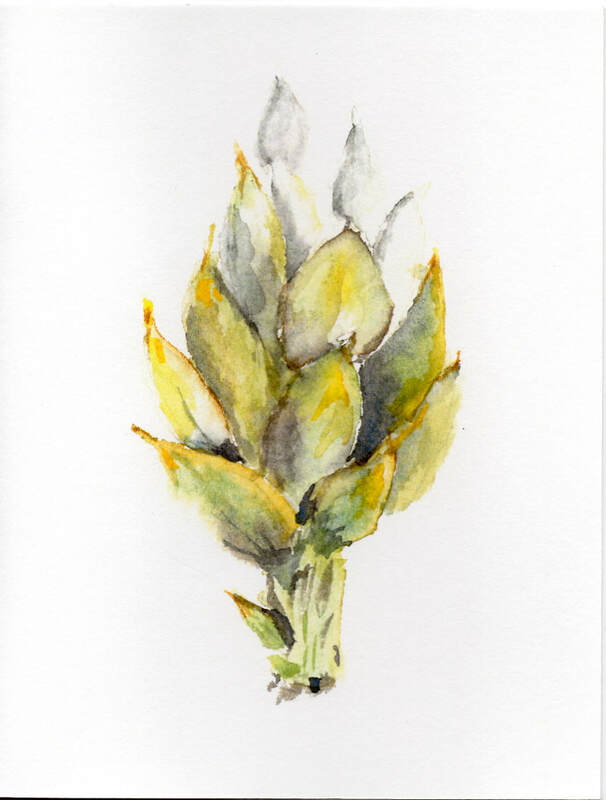 She creates her line of note cards and dinner place cards from water color paintings that she does at home and on the island.